I Preach Verse-by-Verse and It's Not Boring! You might think by the title of this post that I'm indulging is self-adulation. Or, if you've actually heard me, maybe you're thinking I have an overactive imagination! However, I'm under no delusion that as a preacher I'm anything close to the wordsmith of a Charles Spurgeon or the orator of an Adrian Rogers. I don't have the presence or deep resonating voice of a W.A. Criswell, the charisma of Voddie Baucham, or the profundity of John Piper. Nope. None of that belongs to me. Actually, I got to admit my brainpower, oratory skills, and personal presence are dreadfully average. Oh yeah, and I'm not really that funny either. So, why would anyone want to listen to me preach? Good question. Now, don't get me wrong. I believe every preacher is under obligation to the calling to become as sharp as a tool for the Lord as he possibly can. Those of us who are charged to bring the Word every week should try to do so in a way that is pleasing to the ear and interesting. We should work to get people's attention and hold it for a little while to accomplish the goal of making God's Word clear to them. We shouldn't stammer around in our delivery, be convoluted in content, needlessly repetitive, talk over people's heads, or be boring. We should try to do what we do to the best of our ability with excellence. When most people hear that a preacher preaches verse-by-verse, they're first thought is - how boring! This approach, known as expository preaching, is in fact what keeps a guy like me from being boring. My experience has shown that this approach is what makes the Word of God come most alive for the people. This style of preaching presupposes that the Word itself is engaging enough without me having to adorn it with my imaginative touches and packaging. As I see the preaching task, it is my goal to help people encounter the Word of God as fully as I possibly can. It's my job to take God's words and explain them and apply them to people's lives. It is my goal to make clear the truth that God has revealed. Leading others to discover the truth that God has given them is the objective. If I can successfully do this, then my preaching can't be boring. If my preaching is boring, it's because I've failed to do this. God said it best Himself through the writer of Hebrews: "For the word of God is living and active and sharper than any two-edged sword, and piercing as far as the division of the soul and spirit, of both joints and marrow and able to judge the thoughts and intentions of the heart." (Heb. 4:12) In other words, the Bible is not boring! When we let it speak the way God intended, it is plenty exciting. It's content is alive, vibrant, and meaningful and will speak the truth we most desperately need into our lives. It is possible to have entertaining sermons without a whole lot of God's Word involved. However, that kind of engaging oratory depends on a personality, not God. That kind of preaching may move people, be heartfelt and motivational, but it's not transformative. People may applaud and be mesmerized, but remain unchanged because the Word of God was not expounded. The topic of many sermons may have a little supporting Scripture sprinkled throughout, but the Bible is used like a garnish rather than being served up as the main course. I have been preaching verse-by-verse through books for the past seven years. For the last five years this has been my primary delivery method at First Baptist Hazard. Over the years I've learned how this approach helps me the preacher and those to whom I preach. 1. Helps me to prepare better sermons. I still have to decide, like any preacher, on a preaching plan. However, once I have determined which book of God's Word to preach I know for many weeks what I'm doing. I can't imagine waking up on Monday mornings thinking, "now what am I going to preach on this Sunday?" Expository preaching let's me digest thoroughly a whole book, study it intently over a long period of time and deliver the whole book in context. 2. Forces me to dig deeper and deal with the harder passages. Many in my congregation have become accustomed to getting the tougher passages of Scripture in the course of my preaching because I preach verse-by-verse. They've come to learn that the harder to swallow or understand texts will not be skipped or glossed over. I will challenge myself to wrestle with them and then challenge my flock to do the same. This is a very good thing. 3. Keeps me on God's agenda, not mine. One of the constant dangers to us all-too-human preachers is to use our pulpit to vent our own frustrations or push personal agenda. Those of us who are prone to passion may get really worked up about something and end up saying stupid things from the pulpit on God's time. This is a very bad thing. Preaching verse-by-verse keeps me on track. It helps me to stay with the Word and not follow my own emotions or reactions to circumstances. I need this for myself. 4. Alleviates the pressure to make creativity the main thing. I'm not against creativity in preaching or worship. Don't miss what I'm saying here. However, if preachers are not careful creativity can become the engine that drives the sermon and service rather than the Word of God. The Bible will become the proof text add on for the theme. This is a tricky one. A topical sermon can be a good exposition of the Word of God creatively presented. However, preaching verse-by-verse, keeping the text in context helps me keep the point of the text the point of my message. It's real easy to miss the real point of the text by preaching topically. 5. Allows the congregation to hear the whole counsel of God's Word. Personally, I have had tremendous, positive feedback to expository preaching, even if they don't know what it is. Numerous times people have expressed appreciation for seeing how a particular text fits into the book as a whole or how the story-line develops in a narrative book. 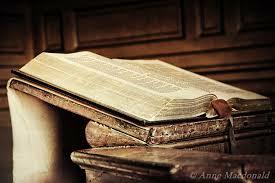 Preaching verse-by-verse through books makes me evaluate if I am preaching the whole counsel of the Word. It helps me to strive to be aware of my natural inclinations. I have to occasionally step back and ask: When did I last preach through a portion of the Old Testament? Am I unintentionally ignoring the minor prophets or the wisdom literature? I don't relish the idea of a sermon series through Leviticus, but someday, somehow, I've got to teach the people what that book is about and how it fits into the Gospel. And I don't even want to think about the Song of Songs! However, I'm committed not to preach through any book twice until I've done them all once. Only verse-by-verse preaching would constrain me to do this. A growing disciple is constantly learning how the whole Bible fits together and always culminates in Christ. Primarily preaching expository sermons helps me do this. Growing as a disciple is a long, slow process. Jumping from one 4-week sermon series to another that primarily speak to felt needs, is not the most effective way to grow disciples (in my opinion). I think there are places for great topically driven, felt-need driven, biblically sound studies to add to an overall discipleship strategy in the church. However, I like to put those in small group studies. Christians grow most effectively by engaging them most directly with the Word of God itself in its own context. 7. Places the Bible center stage. I want to do everything I can as the worship leader of my congregation to make sure that the Word of God is the focus of worship. Hopefully, God's Word and truth is embedded in the songs we sing and the prayers we pray. However, in Baptist (and most Protestant) churches the worship service climaxes with the delivery of the Word of God in the form of a sermon. This is THE great privilege and responsibility of the pastor. We pastors do a lot of administrative and ministerial things, but this is the MAIN thing we do under the calling we have from God. Others can help us with everything else, but it is the pastor's charge to stand regularly before his flock and feed them the Word of God. Verse-by-verse preaching helps me make sure that I don't subtly, even in the smallest ways, begin to move the Bible from the center. 8. Is well received, believe it or not. In my narrow experience I have had overwhelming positive response to verse-by-verse preaching. I've never had someone say they were tired the Gospel of Mark, or bored with the stories in Genesis, or overdone with Malachi. My experience has been just the opposite. I have found people growing in biblical understanding and sometimes even talking to me about the passage that will come next because they are reading ahead! If my sermons are ever boring, it's because I'm boring. God's Word is alive and meaningful and the instrument that God uses to enlighten minds and convict hearts. I want my sermons to be as pregnant with God's Word as possible and have as little of me as possible. I've found when I do that, then the messages are received well for the right reason. I'm sure there are other good reasons that preaching verse-by-verse is advantageous for faithful, biblical preaching. If you have other reasons that come to mind, I would love to hear them. The above eight items just reflect my current, short musing on the subject and certainly isn't exhaustive. I do occasionally break from a book study and do something topical on special occasions or for special emphases. Or I may just focus a sermon series on a certain portion of Scripture. However, I've learned that my bread and butter is verse-by-verse through books. So, again I might be boring sometimes (I hope not), but I can guarantee that God's Word faithfully explained and applied is not!